Jeffrey Eugenides, the author of two beloved and truly great novels, Middlesex (winner of the 2003 Pulitzer Prize) and the now-classic The Virgin Suicides (made into a haunting film by Sofia Coppola), returns with one of the most anticipated novels of the year — a story about modern love. 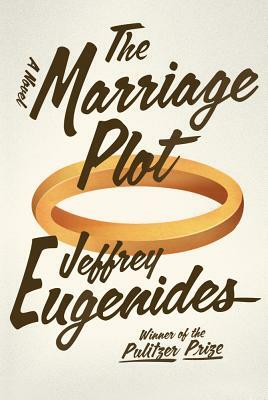 And what's more, Jeffrey Eugenides will be reading from and discussing his new book at Book Passage on Saturday, October 15th at 4 pm. It's a rare West Coast appearance by the celebrated author, and an event not to be missed. It's the early 1980s — the country is in a deep recession (sound familiar), and life after college is harder than ever. In the cafes on College Hill, the wised-up kids are inhaling Derrida and listening to the Talking Heads Foster the People. But Madeleine Hanna, dutiful English major, is writing her senior thesis on Jane Austen and George Eliot, purveyors of the marriage plot that lies at the heart of the greatest English novels. Are the great love stories of the nineteenth century dead? Or can there be a new story, written for today and alive to the realities of feminism, sexual freedom, pre-nups, and divorce? With devastating wit and an abiding understanding of and affection for his characters, Jeffrey Eugenides revives the motivating energies of the novel, while creating a story so contemporary and fresh that it reads like the intimate journal of our own lives. 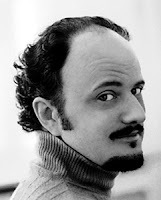 Jeffrey Eugenides grew up in metro Detroit and attended Brown and Stanford Universities. His first novel, The Virgin Suicides, was published by FSG to great acclaim in 1993. He has received numerous awards for his work. In 2003, Eugenides received the Pulitzer Prize for his novel Middlesex (FSG, 2002), which was also a finalist for the National Book Critics Circle Award, the International IMPAC Dublin Literary Award, and France’s Prix Médicis.